Griffin, known for its accessories for the iPod and iPhone, has just announced its latest and greatest (though just how great is still in question). The latest iteration of the iTrip takes full advantage of iPhone OS 3.0, allowing you to control the FM transmitter from your iPhone / iPod touch itself. Aren't luscious touchscreen controls preferable to the iTrip's tiny buttons anyways? In addition to app integration, the transmitter features track and artist information on RDS-compatible radios, SmartScan technology for finding the best available frequency in any locale, and a micro-USB port for charging any USB-powered iPod or iPhone from a charger. 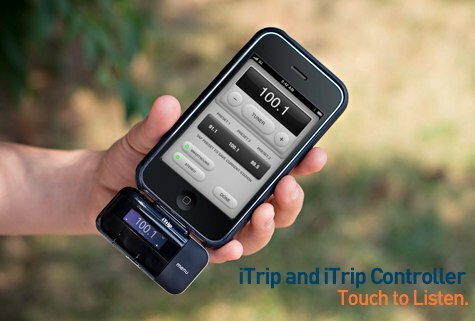 iTrip is available for $49.99, and the iTrip Controller software can be downloaded for free from the App Store. Griffin iTrip now features iPhone OS 3.0 integration originally appeared on Engadget Mobile on Wed, 23 Sep 2009 11:57:00 EST. Please see our terms for use of feeds.